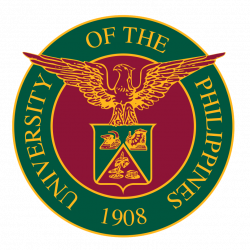 The University of the Philippines complies with the conditions of good governance as set by Section 99 of the General Provisions on Transparency Seal under the General Appropriations Act (GAA) FY 2018. Available below are the information required of the university under the said directive. Additional Provision in GAA 2018 : Provision No. 2 UP Resilience Institute. The University of the Philippines Resilience Institute (UPRI), together with other state universities and colleges, shall support the Climate Change Commission in training LGUs to formulate and complete Local Climate Change Action Plan (LCCAP) and Comprehensive Land Use and Development Plans (CLUDP). The UPRI shall empower LGUs with science-based information and technologies for development planning, such as Climate Vulnerability and Disaster Risk Assessment (CVDRA) and multi-scenario, probabilistic hazard models. Deletion of Provision in GAA 2018 : United States Public Law 480 Title I Program. Of the amounts appropriated herein, Twenty Six Million Eight Hundred Thirty Seven Thousand Pesos (P26,837,000) sourced from the United States Public Law 480 Title I Program shall be used for the Profiling of Economically Important Diseases of Swine and Cattle in the Philippines for Enhanced Disease Management, Surveillance and Control. Release of funds shall be subject to the submissions of a Special Budget pursuant to Section 35, Chapter 5, Book VI of E.O. 292.